Hey everyone! Happy to be back home safe & sound after a great trip to Germany! Tyler and I went for his brother's wedding and it was so fun. I have lots of video clips and pictures that I'll work into an upcoming Beauty Vlogcast video, but for now I wanted to show you the drugstore makeup I came up with! I've come down with a post-travel cold and my voice isn't so good... so blogging is a bit easier for me right now. I picked up this CD moisturizer (not sure if there's more to that brand name)- in a small size... Sylvia recommended it. The moisturizer I had packed was teeny tiny, so I figured I could use some more. This cream was great for nourishing my skin without getting greasy under my makeup. Tyler used some & liked it too. Gotta keep the skin hydrated after those long flights! This eyeshadow is from a brand called Manhattan. I'd been wanting to do a peach & lavender eye look, so that's why I picked this one out of a special display. The shades are all rather sheer in these swatches, but pretty. And the purple is slightly iridescent. I'm excited to try these out on my eyes. I'm not totally sure what the shade name on this is... the back of the packaging says "Eyemazing Eyeshadow 3". Then I found this Perfect Stay stain/balm from a brand called Astor. I know Revlon makes something similar- with the marker-like lip stain on one end, and a clear balm on the other. This berry shade is called "Bols de Rose". I haven't used this yet, but Sylvia and I both thought it was worth a shot. With the brands like L'oreal that we're familiar with in the U.S., they have some of the same products- but they're often packaged differently. This Caress lipstick in 401 Rebel Red is an example of that... these lipsticks have different packaging in the U.S. and they're cut at an angle- unlike this one which is flat across the top- more like a balm. Another example of that- the Maybelline mascaras all had pointy caps in Germany, unlike ours in the U.S. Yes, I'm makeup obsessed, so these little things fascinate me. As for this lipstick, it's a sheer, moisturizing red that became my go-to lip product for a couple days of the trip. Love it! So there's my little haul! I'd never heard of several of these brands- so for those from Germany who're in the know-- I'd be curious to hear your thoughts on what I picked up! I'll have much more to come on this trip in a future vlog. Thanks for reading! I am laying on the couch, exhausted, with cold-like symptoms. I had already planned to have the day off today for a little recovery from the jet lag. I felt like I had a full-blown cold about halfway through our flight home... it was odd how it set in so quickly. The super dry air on the plane didn't help. Cupcake missed me- she has followed me everywhere, sleeping on me, sitting in my makeup chair with me, even getting in the shower! LOL. My co-anchor Kevin made sure she was taken care of while I was away. Sadly Rossmann has a small variety of make up (it depends on the stores size). If you go again in the future try to visit dm-drogeriemarkt or Mueller. At dm you find the same brands as in Rossmann (exept for Rival de loop) as well as essence, catrice or alverde. Welcome back from Germany Emily! I'm glad you had a good time. Nice little haul but I have to say, my favorite part was the Cupcake picture! She's a show stealer. Good luck with the L'oreal lipbalm. 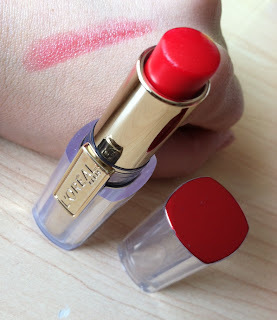 I found the one I had earlier this year to be drying on my lips and it left a filmy feel. Rossmann isn't necessarily the drugstore with the largest make up displays. Depending on the size of the store in general some of them are indeed very tiny! However, the brands you picked out for me are not necessarily the best quality ones. CD is a regular cream that I like to use sometimes, too. I'm not too fond of Manhattan or Rival de Loop (which is a very cheap brand) at all. I'm not sure if it's true that German eyeshadows come in smaller sizes than the US. It's up to the brand, I guess; I don't see a general difference. I always find it interesting to see the packaging you have in the US. That L'Oreal lipstick looks exactly like the ones they sell in Canada. Also Revlon sells the Balm Stains like the one you showed above, we don't have the ones that look like the Clinique Chubby Sticks :(. We have Manhattan in our country and it's good drugstore brand, some product are lot better then some high end stuff. Their foundations are really good and cheap. Powder mat makeup is great mattifying liquid full coverage foundation. 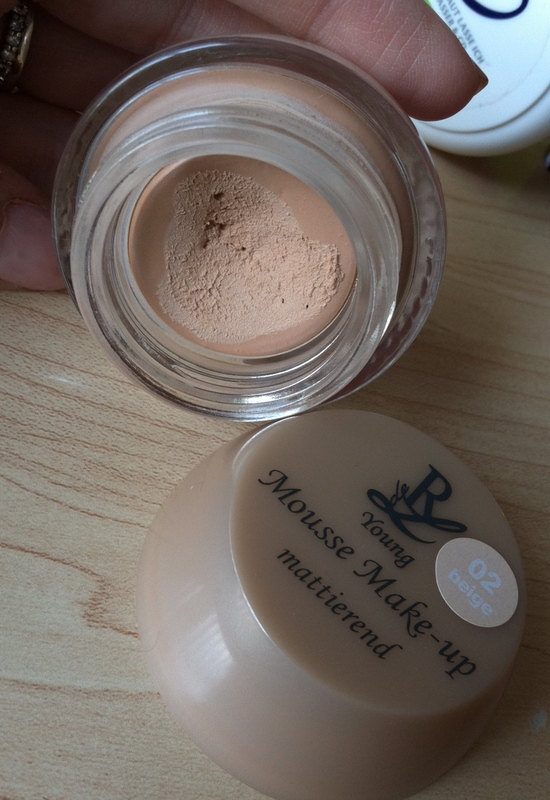 I specially love their pressed powder foundation (Soft compact powder). Goes on really smooth, and gives medium to full coverage (depends on how much is applied and how; wet or dry) without been cakey. Pencil liners are also very nice. Eyeshadows vary, some are good some not so much. If you visit Germany again, try brand called Art Deco, they are something in between drugstore and HE. Their eyeshadows are specially good with excellent color selection and pigmentation. And they have good mascaras. Europian versions of some drugstore brands( Loreal, Maybelline, Rimmel, Revlon)in general tend to be lot different from US, in pacakage, names and somethimes in formulations. And we rarely get the entire assortment. Sorry to hear about your cold. When traveling I always take an Airborne before the flight and after the flight. It really seems to help by giving a burst of vitamins. Guten tag! Nice to to see you back home safe with a haul no less! What an interesting post! I wish I could go travel the world and see what type of different products they have to offer! Haha. I like trying products from other places too. It's a refreshing idea. Awwww. 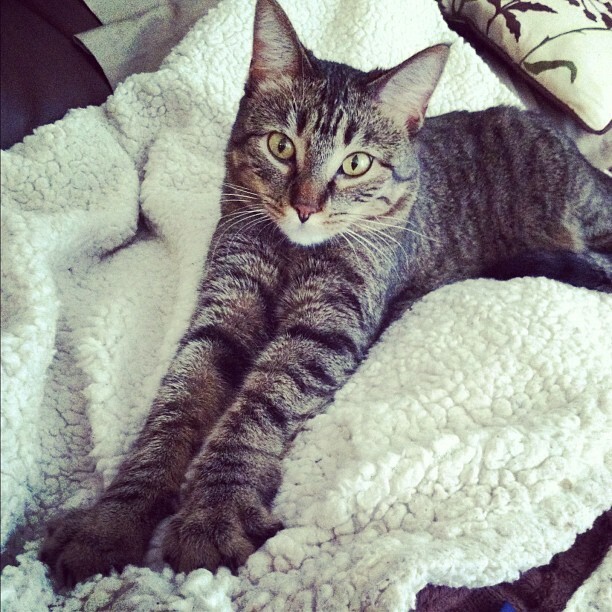 Your kitty is so cute! It's really interesting hearing about the differences between the makeup in other places in the world! My cat does that as well. He tries to get in the shower with me when he doesn't see me for awhile! Ha!! 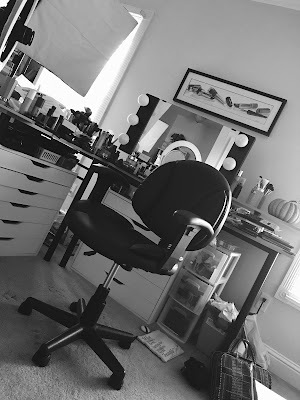 i must be makeup obsessed too cuz everything you say fascinates me!! haha feel better soon! I don't know about the Rival de Loop foundation, but their eyeshadow primer is a HG product for a lot of German bloggers! Hi didn't you get the brand Lacura from Aldi? Suppose to awesome. Nice haul! I like the look of the mousse foundation. Yeah! German/European mascaras and pointier and bulkier. My friend brought me the falsies from Austria and the packaging was so odd compared to the falsies here in the US. Emily, I've been watching your videos for months now and really enjoy them. This post was a great read as well, but I'm curious: what in the world is the red logo on the drugstore bag??? Welcome back! I've been excited waiting to see what goodies you'd get in Germany!! I have the same Rouge Caresse lipstick from L'Oréal and really like it. It's so smooth and doesn't feel drying, plus the color is nicely subtly. I also noticed that the packaging in the US and Germany (maybe even Europe) is quite different and I find that very interesting. I like your little haul from Rossmann. Although dm or Müller have a much larger variety of brands to choose from. It's funny how you noticed all the little differences in packaging etc. I often find it hard to tell whether a product really is the same as in Germany whenever I visit the U.S. and go to a Walgreens,Target or CVS. I just love browsing the aisles at American drugstores with their huge cosmetics displays. Anyways, I hope you enjoyed your time and that you got the chance to go to Douglas. Manhatten is very good drugstore brand, as well as Astor. You should have tried Dermacol too. I'm traveling to Germany in a month for a 2-week vacation (Bamberg). What products would you recommend picking up that I can't get in the States? That comment about Rival de Loop's eyeshadow primer got my attention. 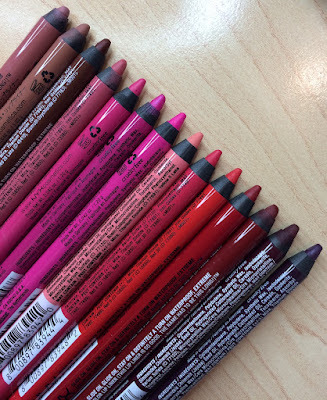 I live in the Uk and we have the pointy lids on Maybelline mascara's too - I found it really strange when I went to the US and they weren't! 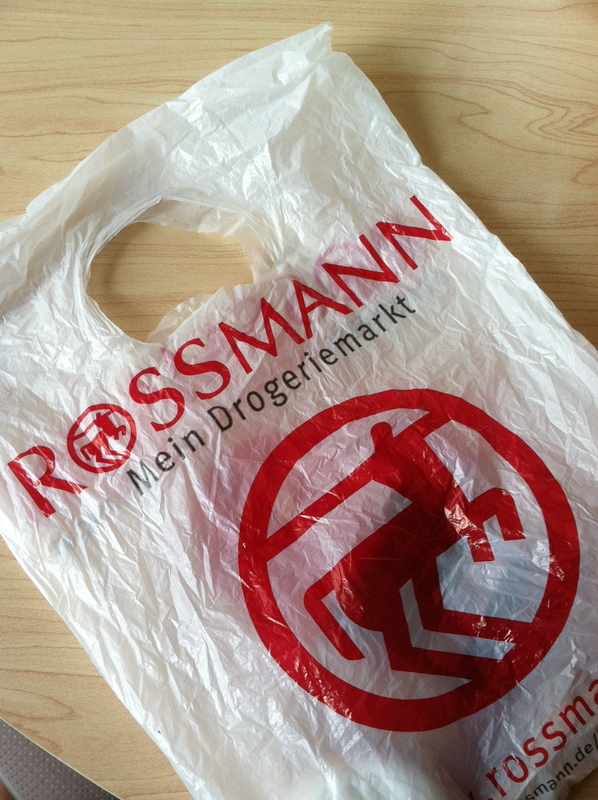 Love Rossmann too :) Used to go there all the time when I lived in Germany :) Great post! I'm going to Germany in three weeks. I've heard of the brands P2 and Catrice. Did you see any of that? I'm from Austria, but we have the same brands like in Germany. It's a pity that you did not buy anything from CATRICE, because it's one of the best brands here in middle europe. many beuty blogger and vlogger love this brand! I've watched you videos for years and this is super helpful to me! We're moving to Germany in a few months so it's great to have a heads up on the make-up scene there from the only lady I trust! Thanks Emily! Hi, I didn't try any of the things you bought (only the lipstick but in another shade) but I think you should try more things from brands like essence (I now from your videos that ulta sells essence, but I don't now if they are really the same products), catrice, alverde or maybe Rival de loop (the eyeshadow base is awsome for 3€). 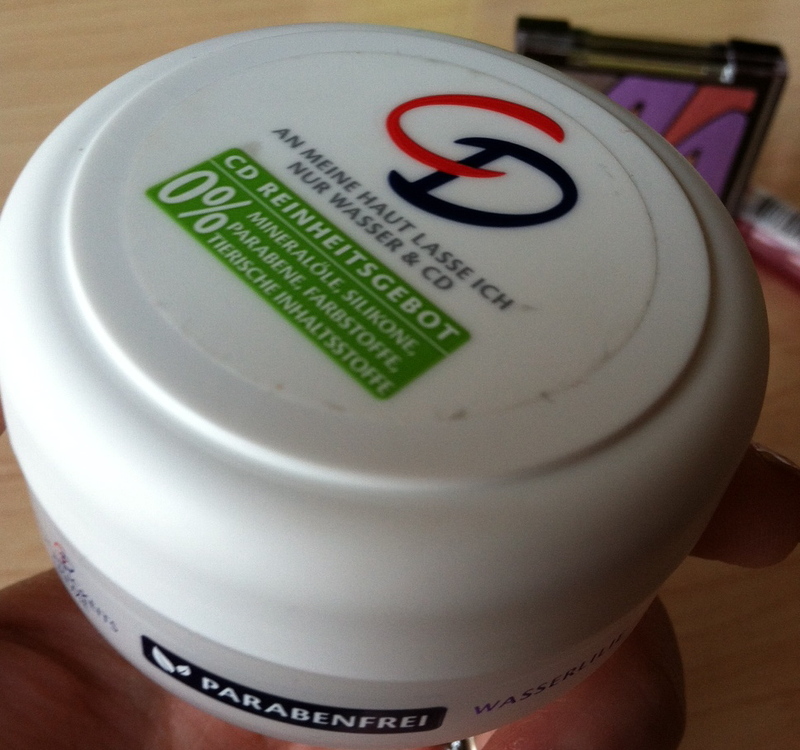 Like Egno said I also would recommend some diffrent products and brands to you to try (maybe next time you visit germany) because there are really great things in german drugstores too! If you get a chance, next time try DM stores, especially their Alverde line. And you must try Art Deco eyeshadows and their lid primer, absolutely amazing! Also, whenever in Europe, I buy Bourjois cosmetics. Their Healthy Serum foundation is great. I believe you can get some of their products on asos.com. Hope you feel better soon. I would recommend to go to Frankfurt next time and do some makeup shopping there. Douglas has some nice display for higher end makeup and for drugstore you definately should go to dm. The bigger the store, the bigger the makeup display. Rival de Loop is a brand from the drugstore you got it from and it´s a cheap one. From Manhattan you should try the nailpolishes. For eyeshadows I would recommend catrice, they are absolutely great. Hope you will visit germany again soon.